Upright Telescopic Shock Absorber Kit suitable for Aston Martin DB4, DB5 and DB6 models. Improves the rear-end stability and replaces Lever Arm Shock Absorbers. The kit consists of 2 shock absorbers and complete fittings kit. 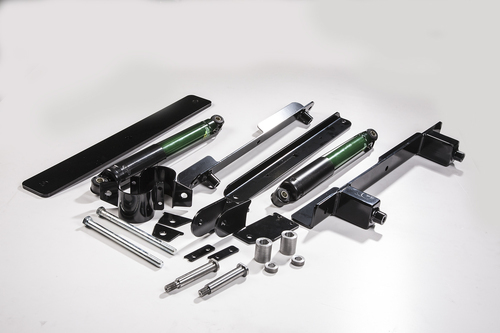 Kit provided will include parts to suit both standard floor and flat floor versions, the kit allows the standard Armstrong lever arm units to be retained without functionality. As used by Aston Workshop in our world leading restorations.